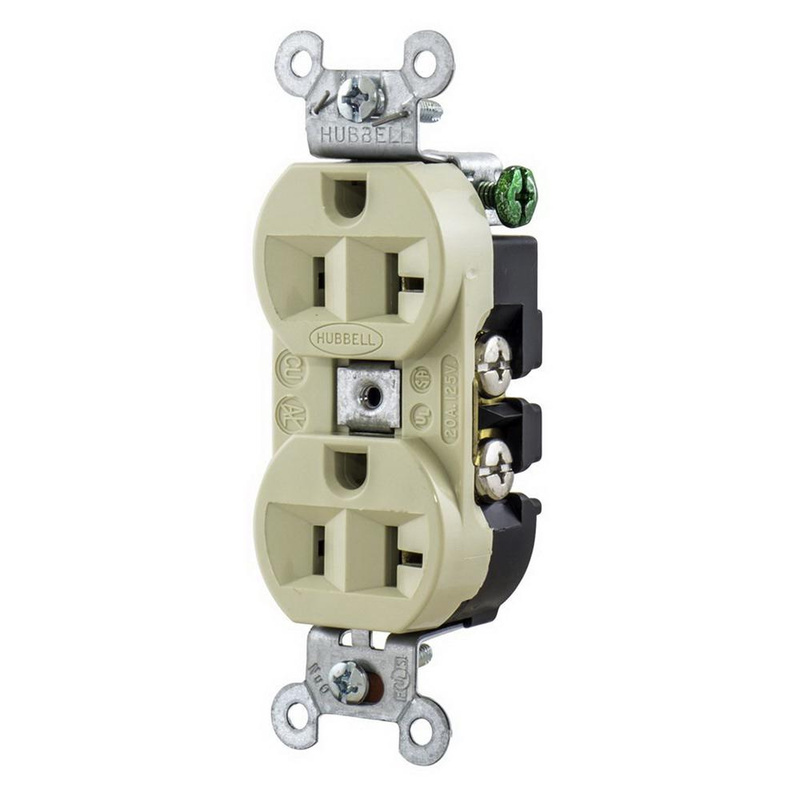 Hubbell-Wiring 2-Pole 3-Wire Heavy-duty straight blade duplex receptacle in ivory color, has current rating of 20-Amps and voltage rating of 125-Volts. It withstands dielectric strength of 2000-Volts and has power rating of 1 hp. Industrial-grade receptacle has nylon top and base. It measures 1.41-Inch x 1.094-Inch. Grounding receptacle has brass contact for excellent conductivity and galvanized steel strap for superior assembly security. Receptacle has back and side-wired connection for quick and easy installation. Receptacle accommodates stranded or solid copper wire of size 14 - 10-AWG. It withstands temperature rating of -40 to 75 deg C. Strap/screw mountable receptacle has 5-20R configuration for added safety. It has V-2 per UL94 flammability rating to withstand hazardous environmental conditions. Receptacle is UL listed, CSA certified and meets Federal Specifications.